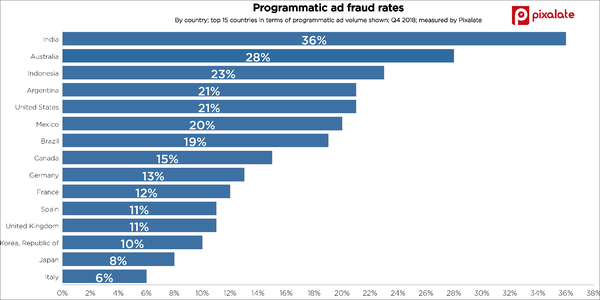 What are the latest ad fraud trends and invalid traffic (IVT) rates in programmatic advertising? Pixalate examines the latest data to give you the most up-to-date insight on ad fraud trends in digital advertising. Download the most recent Ad Fraud Trends report for the full scoop on the current state of IVT and ad fraud in programmatic digital advertising. According to the latest ad fraud data, invalid traffic is on the rise even as advertisers become more aware of the tactics used by fraudsters. 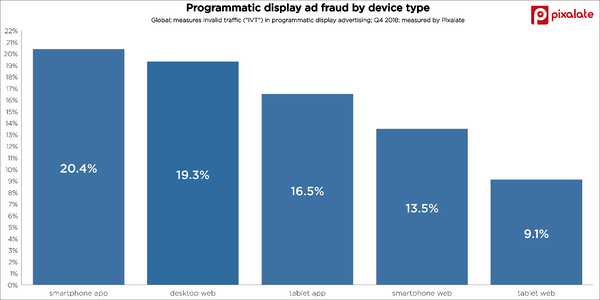 Smartphone in-app ad fraud has the highest invalid traffic rate, at over 20%. See the latest mobile ad fraud trends for more. 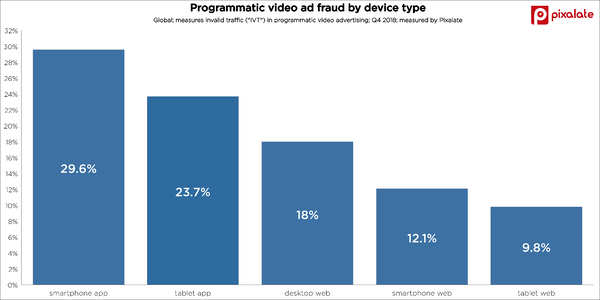 When it comes to programmatic video ad fraud trends, mobile in-app is the riskiest. See the mobile app fraud trends for details on the riskiest app categories.